In 1955, not far from Bremen, a group of grammar school boys come across a bizarrely shaped piece of wood. Knowing nothing of its origins, they decide to name it Pijökel: our little thing. Once a year they meet to pay homage to their mystical wooden icon, the Pijökel Brotherhood is born. Feeling that this ritual deserved a fitting drink, the Brother and pharmacist Kuno Grote decided to craft a unique herbal elixir - and called it Pijökel 55. 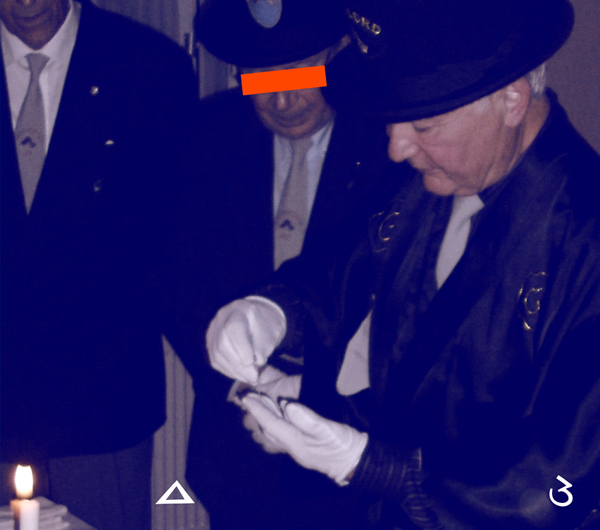 The Pijökel Brotherhood meets once a year to honour their wooden treasure. 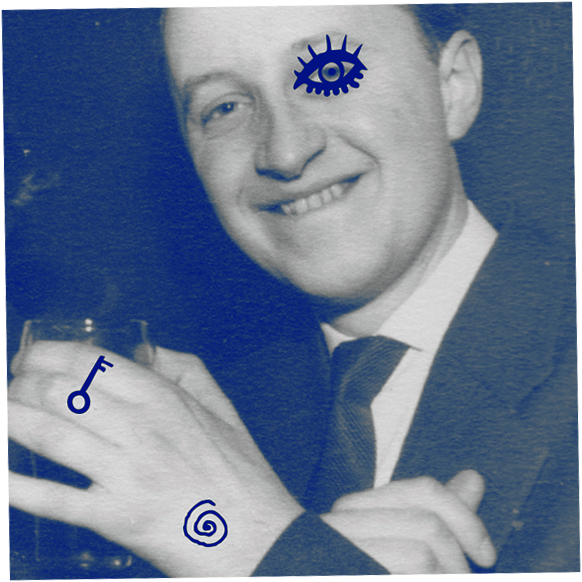 The heart of this mystical ceremony is a drinking ritual. 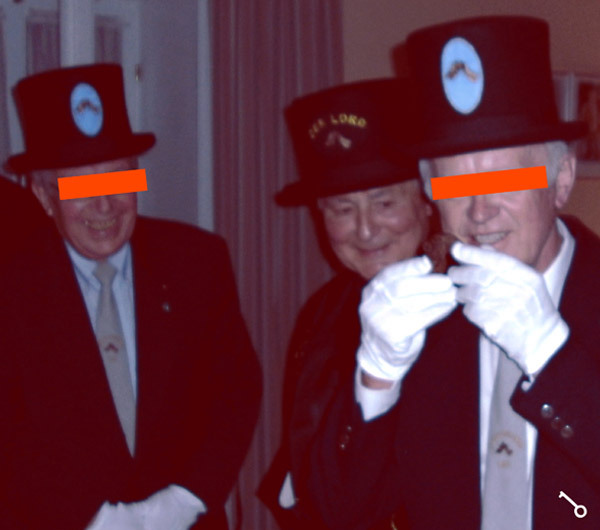 The ceremony master serves a Pijökel Brother from a handmade tin spoon. The sacred oath is spoken. 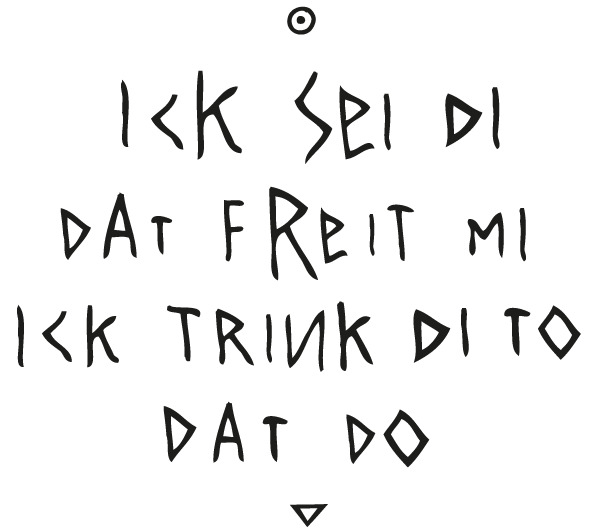 One after the other, the Pijökel brothers drink from the spoon until the ritual is finished. 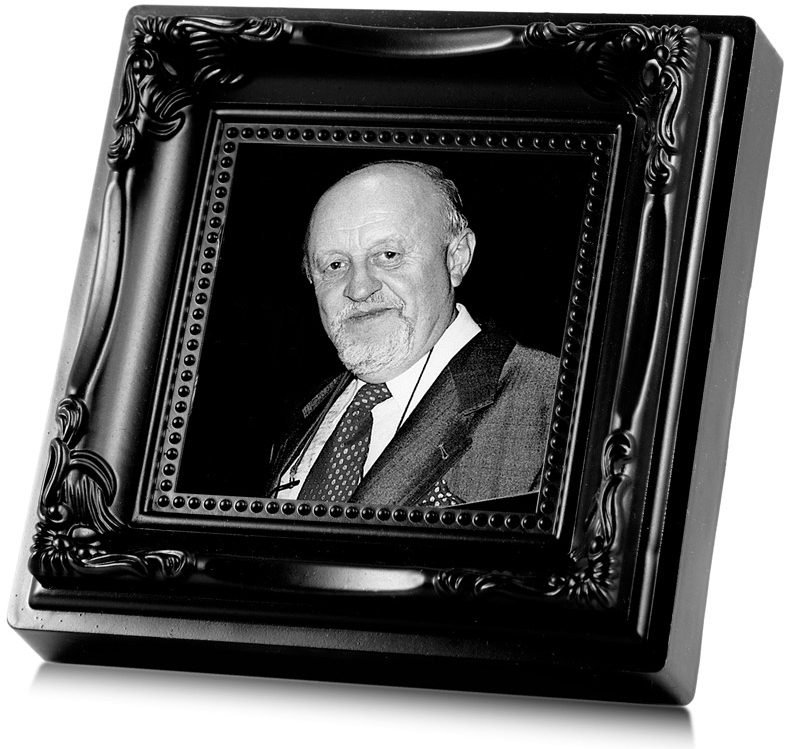 The passing of Kuno Grote, the creator of the legendary herbal elixir, marked the end of an era. It fell to Kuno's son, Gabriel Grote, to revive the legend. 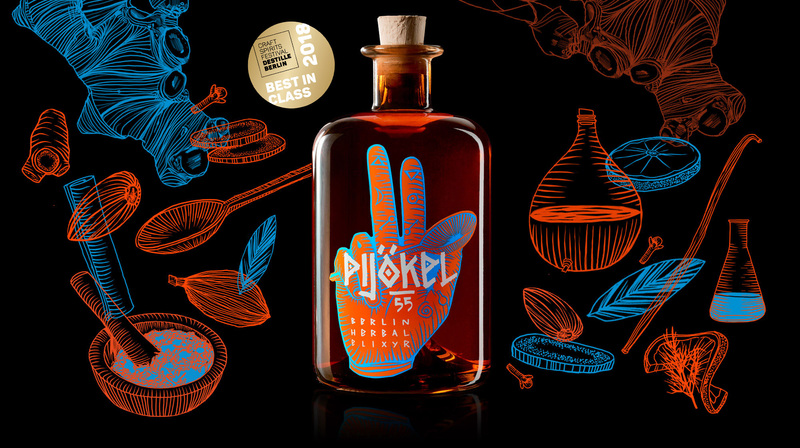 Together with his friend Henning Birkenhake, Gabriel set up his very own liqueur distillery in Berlin, Prenzlauer Berg. As recipe-hunters, Henning and Gabriel are always searching for very special, unique and new formulas. 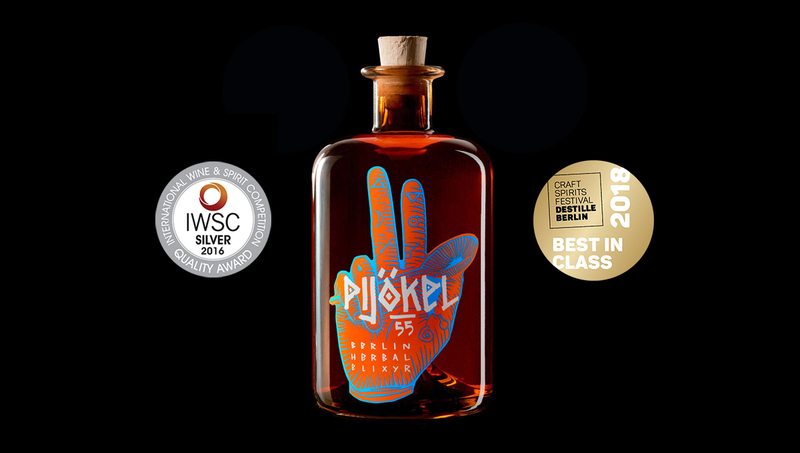 Kuno Grote's formula for "Pijökel 55" has its roots in traditional apothecary tinctures - a secret selection of herbs and spices. 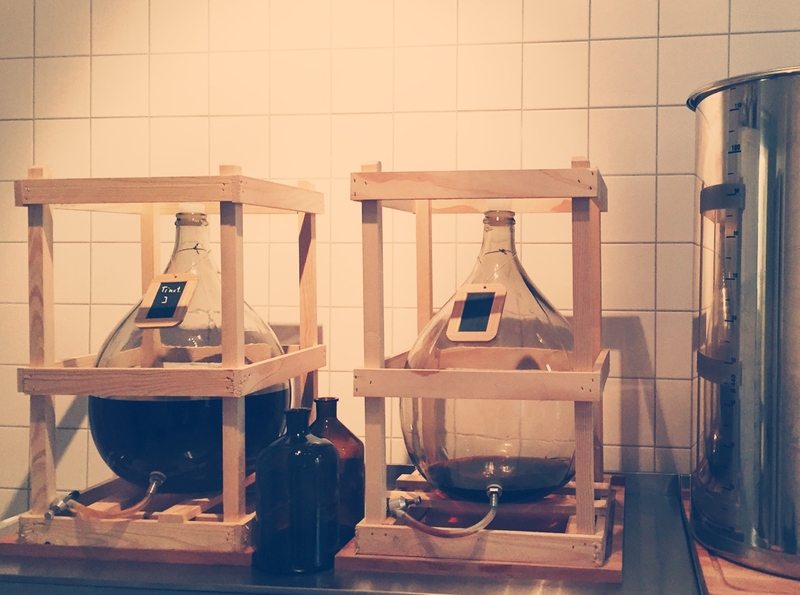 The manufacturing process is unique: a gentle maceration of our own invented tinctures with alocohol in pharmacopoeia quality, all done by hand. We only use the best natural ingredients including exotic spices such as galangal, ginger, cloves and cardamom. The manufacturing process leaves out cold storage or chill filtration. This preserves the elixir's delicate aroma and complex flavour. 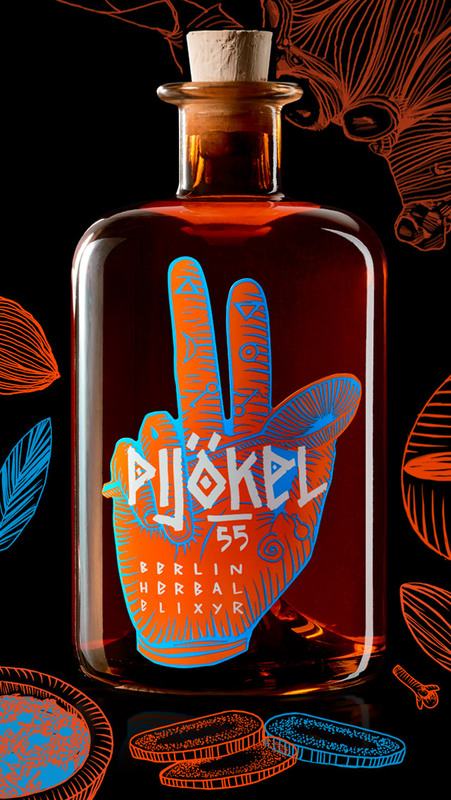 Pijökel 55 offers a full aroma, free of tannins. A low sugar content –just over 100 grams per litre - gives it just the right sweetness. Notes of almond, cinnamon, vanilla and ginger are followed by a rounded and harmonious finish. Visit our Bar to check out some great receipes!